The standard non-lift Aventis bath is designed to replace an existing bath. It is 1700mm x 700mm in dimension, so has the same footprint of most conventional baths. It has an easy to use slam-shut inward opening door, and simple latch look for easy operation. 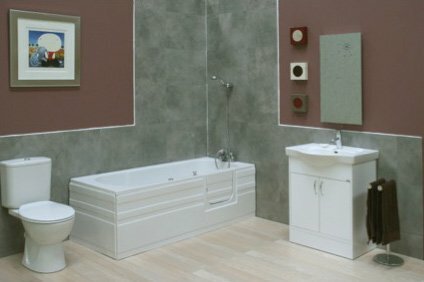 Same dimensions of most conventional baths for neat and easy installation in place of an existing bath. Slip resistant area to base.